"Lori is the best! ... Lori goes above and beyond what any other aesthetician I've met. She is caring and knowledgeable." "Lori is without doubt the sweetest, and one of the the best skincare professionals I have ever had the pleasure of working with... Do yourself a favor and book with her"
"Thank you so much Lori!! You're fabulous and I'm counting down the days until I am back in that salon chair :"
"I would recommend Lori to anyone. Professional, friendly, no pressure on product, and genuinely cares about your skin and helping you look the best"
"My skin looked and felt so refreshed. Lori was professional, honest and did not push products. I will definitely refer others to her and book again!" "Lori was great...I really enjoyed my facial, and she is very sweet! Great energy and will definitely be going back to see her again!" "Lori is Amazing!!! I felt like we had known each other forever. She is very knowledgeable and professional. I will definitely be back!" "Love Lori! She is a precious person inside and out. So fair and considerate, warm and kind. My skin has never looked better!" "I love Lori Alessandrini! Definitely book your next appointment here! I had a facial today and my skin looks and feels amazing!!!! Lori is great!" "Lori is very approachable and upbeat. It's obvious she's passionate about skin care and wants to help. She's knowledgeable and easy to understand. " "Lori was friendly, knowledgeable and did not give me a hard sell. My face felt wonderful after the service. " "Genuine concern for my treatment's success. I was very pleased with the environment and well informed about the procedure and alternative treatments. " "She is amazing! Love her work and left looking Much better and feeling great. She is a talented professional and I love her work!" "This was my second visit with Lori and it just keeps getting better! She is very knowledgeable and personable. Can't wait for my next appointment." "Lori is one of the most kind-hearted person I've ever met!! 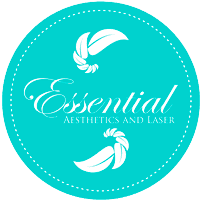 She is so professional, extremely honest and works with you to make sure your experience is exceptional"
"The entire experience was very relaxing and my skin feels so great almost like it's weightless! Lori's professionalism definitely showed."